Adam Bruce submitted this photo. 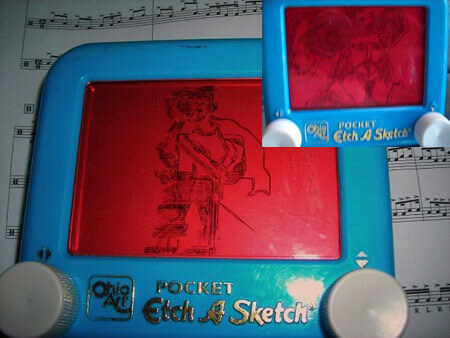 I saw the "Etch-a-Snare" DC-eye submission and thought I'd send in a couple etches that I did during my age-out summer. I began "etching" every now and then on the way to shows in 2004 to focus before our warm-up. By the time I aged out in 2007, with the Cavaliers, it had become a regular hobby!